Not a feminine foot faltered when the guides for this group of King County P.T.A. members led the way into the dark recesses of the Primrose Tunnel at Newcastle. 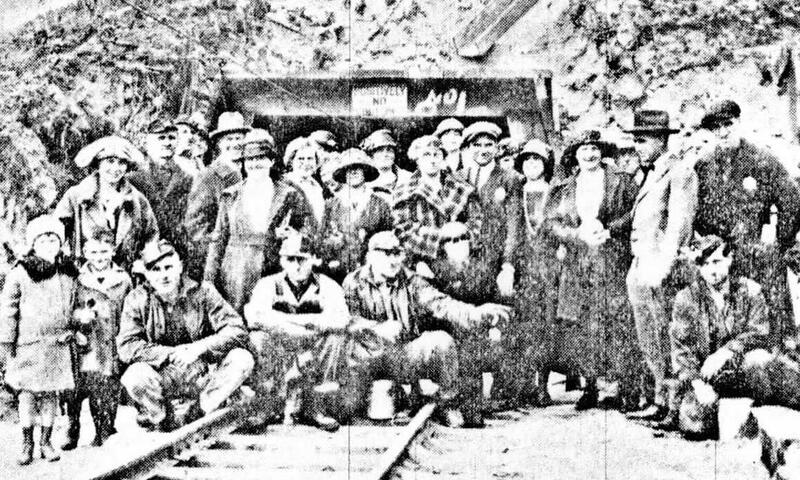 These women, a portion of 300 who recently visited Newcastle Mine as the guests of the Pacific Coast Coal Company, here saw firsthand the actual processes of coal mining. President A.J. Earling of the Chicago, Milwaukee & St. Paul gave out a statement in Milwaukee today to the effect that the St. Paul will complete the construction of its Pacific Coast line by 1909 and will be running trains into Seattle before the Alaska-Yukon-Pacific Exposition opens.